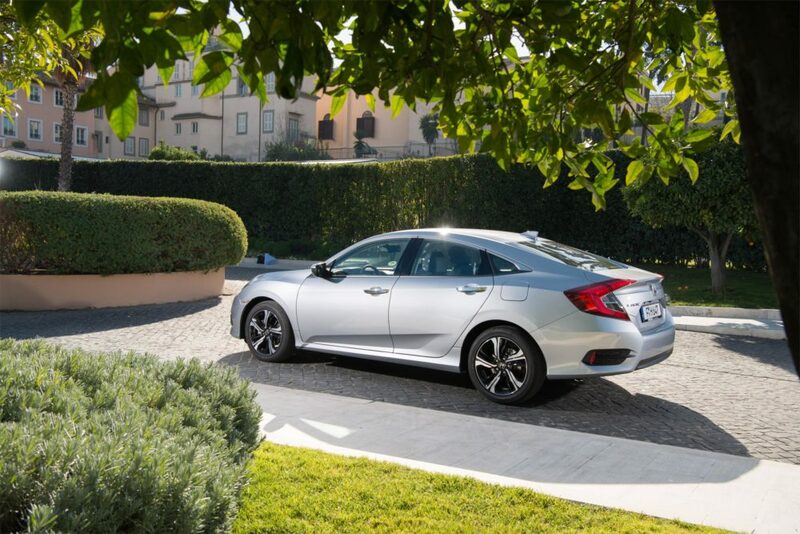 Honda UK has announced the four door saloon version of the Civic is coming to the UK market. Built in Turkey, the Civic saloon will be available with both petrol and diesel powertrains and will be on dealer forecourts from August. Wider, longer, and lower than any of its predecessors, according to Honda, the all-new Civic saloon has a short front overhang and taut lines that reference the strong aerodynamic efficiency. A sharp and aggressive ‘face’, pronounced wheel-arches hint at the saloon’s sporting character. Similar to the hatchback, the new wider, longer platform results in what Honda says is class-leading interior space. The interior features “a simple, uncluttered layout and exceptional refinement”. The seating position is again lower to give the driver a greater feeling of connection with the car. Building on the 40-year heritage of the Civic name, and similar to the hatchback, the four door saloon has been engineered from the ground up and Honda says it represents a significant step forward for the company in the C-segment, benefiting from the largest single model global development programme in the company’s history. Details on pricing, specification, grades and fuel efficiency will be announced closer to launch.